Who Moved my Cheese? er, Bass? 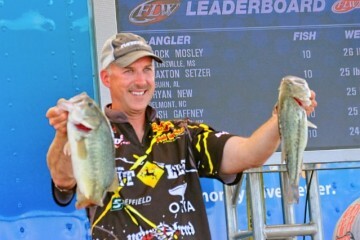 It sure was nice to contend for a win last week at the FLW Major on Kentucky/Barkley Lakes. I was in 2nd going into final day and ended up in 3rd place. 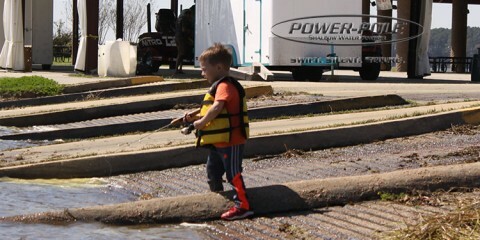 It sure is fun when God’s Favor is on your fishing! I finished much higher than I expected to. 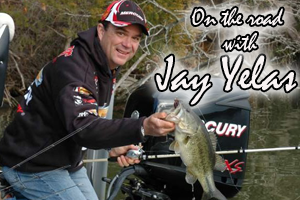 Kentucky Lake in June is one of the premier ledge fisheries in the country. Everything is won on ledges there in June. Nobody fishes shallow there in the summer, but that is exactly what I did all week. I flipped Berkley jigs tipped with Chigger Craws or Havoc Craw Fattys in shallow buck brush to catch my bass. I enjoy looking for ways to catch ’em that others overlook. It is a practice strategy that has worked well for me many times over the years. I spent my first day of practice on Kentucky Lake fishing ledges and caught a 5 and a 4, but only had about 15#. The ledges were just covered up with boats. Tournament guys, locals, and everyone else was on ledges. It was crazy. The next day I thought I’d get away and headed over to Barkley to fish shallow. I caught about 40 bass flipping and had about 16 pounds. I saw only one other tournament boat all day and maybe 5 locals and they were all on ledges. It was one of the best pure flipping bites I’d seen in a while. I can’t recall a time I had been on such a good shallow bite and nobody was doing it. I love flipping a jig, and I decided to spend my tournament doing just that. I didn’t expect to have a chance to win, but I knew I could finish well and I was going to have a lot of fun. The first day I flipped up a 6 and had about 15# with 5 minutes to go till I had to make the 40 mile run back to weigh-in. 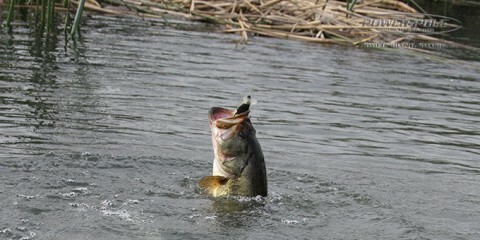 Just then a bass came up to the surface chasing bait. 4″ shad were jumping out of the water. I dropped my flippin rod and fired my buzzbait to the spot and caught a 5! Thank you Jesus! I ended the day in 17th place. The second day I caught a 5 early and a 4.5 mid day on the jig and weighed 16# to move up to 6th place. to 40mph, and lightening popped around us all day. One bolt hit 200 yards from the boat. I hate lightening. But the shallow fish bit well. 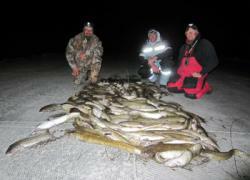 I had no big ones that day, but had all 3# fish for a 15# bag that moved me into 2nd place. The last day we had a vicious thunderstorm hit at takeoff. More lightening, torrential rain, etc… I spent the first hour of the day under a dock in a marina. I just didn’t have any peace about running a long ways in that. The water dropped 6″ that day and I knew it would be a tough day. It always is when you are fishing 2′ deep and it drops that much. It was my slowest day. I only caught 6 keepers and weighed 12#. I only fell one place and finished 3rd. I used the ABU Veritas flipping stick, Revo, and 25# Trilene Maxx. To me, the perfect combo for flipping. 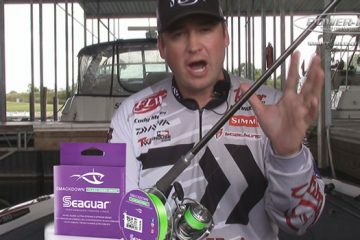 I weighed 18 bass on my Berkley Flipping Jig and Chigger Craw or Craw Fatty. I weighed one on the buzzbait and one on a Hollow Belly the final day. I ran 400 miles over the 4 days and my Mercury/ Ranger did great. I could feel God’s hand blessing me all week and I am so thankful. To Him be the Glory! I drove to Guntersville last night and left my boat with my good friend Jeff Barnes. 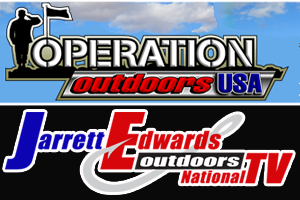 Our next FLW Major is in mid July at Pickwick in Alabama. I flew home Wednesday and looking forward to celebrating Bethany’s 13th birthday with her and the family Thursday.